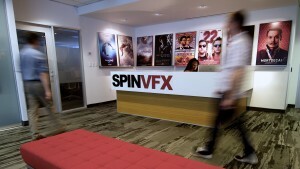 SpinVFX is proud to be a part of the inaugural edition of VFX Voice’s ‘VFX Careers’ column. Leah Jaikaran, Head of Creative Resources, deconstructs the SpinVFX pathway to success in recruitment and retention; and the unique ways in which her department reaches talent globally to assemble one of the most unique teams in the industry. You can read her column, along with the rest of the magazine, in the digital edition here.